Every first a child experiences is such a time of excitement for parents; from their first step to their first word, they’re all milestones that are celebrated. And although it is definitely not a competition, I know that it can be incredibly stressful for parents whose children do not develop at the same rate as other children. Six-year-old Mason Motz, from Katy, Texas, suffered a brain aneurysm when he was ten days old. Mason was taken to a speech therapist when he was one, writes The New York Times. He was given a diagnosis of Sotos syndrome, a rare genetic disorder that affects growth and development and his parents believed this, along with the brain aneurysm, were the reasons why his speech was delayed. Mason was able to pronounce the beginning of a word and over time his parents Dalan and Meredith came to understand what he was saying. But everything changed in 2017 when Mason was six years old. 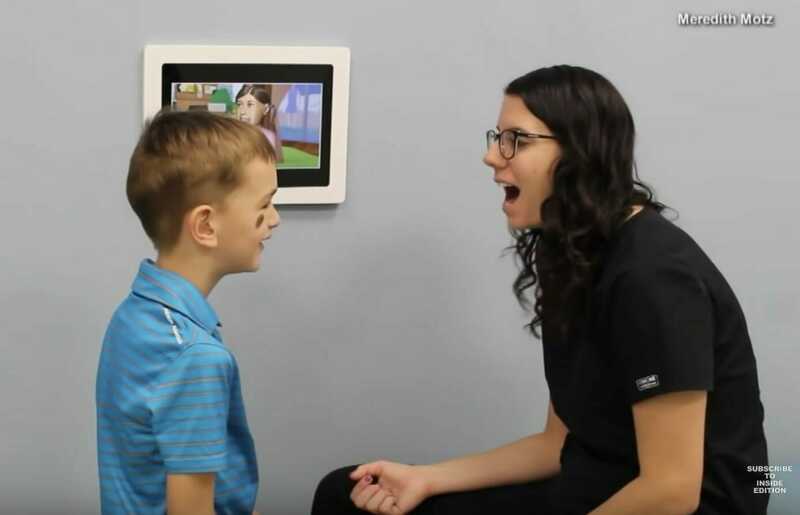 Mason was taken for a routine visit to his pediatric dentist Amy Luedemann-Lazar, who made a remarkable discovery, while performing a routine procedure. 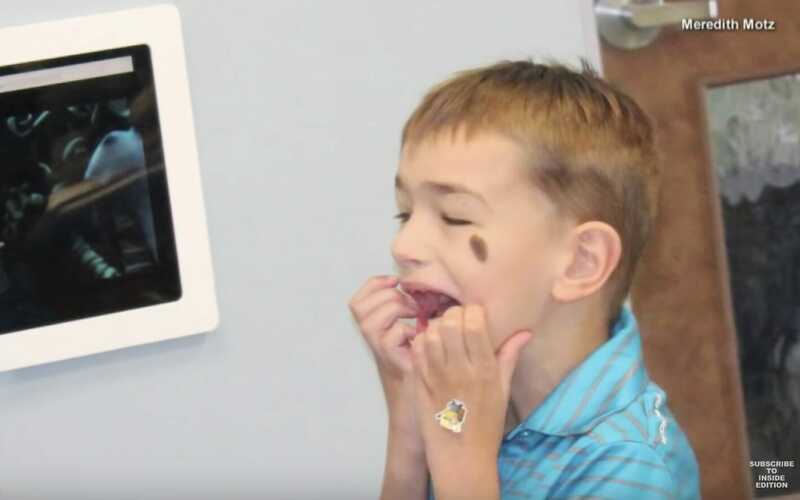 Dr. Luedemann-Lazar noticed that the band of tissue under his tongue was attached close to the tip of his tongue, keeping him from moving it freely. With permission from Mason’s parents she performed laser surgery to untie his tongue. The procedure lasted ten seconds. His parents, who had never heard their son talk properly before, could hardly believe their ears when he was suddenly talking at a much higher level than before. Just a few hours earlier Mason had been talking at the level of a one-year level. After the operation, he was talking at the same level as a four-year-old. When he is 13, doctors expect him to catch up with his peers. Watch the clip below to learn more about this remarkable discovery. What an amazing discovery from such a routine trip out. Who knows how long it would have taken to diagnose otherwise. Share this article with your friends on Facebook if you’re also happy that Mason can talk properly.